It’s slightly annoying for me that two of my favourite races should clash. 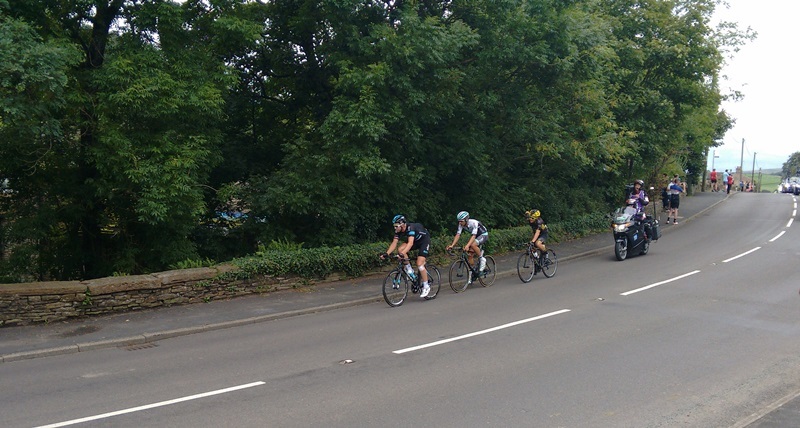 The Tour of Britain has little in common with the Vuelta a Espana, but does tend to offer scrappy, broken racing which is a great deal more entertaining that the formulaic nature of bigger stage races. Some of you may have watched the race, either on TV or at the side of the road. This is just a very quick overview of how things panned out. How DID things pan out? Although it was nine stages long, the general classification basically boiled down to three of those – a hard stage in the Lake District on stage two, a summit finish on stage six and a time trial on stage 7a (they had a circuit race in the afternoon which was 7b). Website favourite Steve Cummings came second on the first of those, finishing near enough a minute ahead of everyone bar Belgian rider Julien Vermote. Vermote couldn’t hack the summit finish where Cummings finished eighth and the Wirral man then came fourth in the time trial. Cummings proved himself the most complete rider in the race – no mean feat considering he edged out former Hour Record holder Rohan Dennis; another website favourite, Tom Dumoulin; and the always-rampaging Gallopin’ Tony. It’s the ‘stress’ and ‘needing to be up there all the time’ bits that Cummings really objects to because if he’s not racing for a stage win, he likes to ride at the very back of the peloton, dossing about. Perhaps this is why he is such a popular rider. We can all identify with slacking off and only actually making some sort of effort when we really feel like it.